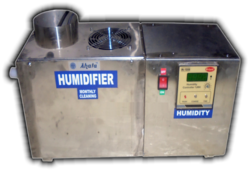 We are a leading Manufacturer of ahata humidifier and real star humidifier from New Delhi, India. We are amongst the leading names in the industry, offering technically advanced range of AhataHumidifier that are acclaimed among the clients for optimum quality and high strength. They are used in varied industrial appellations and are used to humidify the atmosphere. Our entire product range is functionally advanced in nature and is delivered in ell-defined time. With the support of our adroit professionals, we provide our clients a high quality Real Star Humidifier. Our offered humidifier is made using optimum quality components that are sourced from trustworthy vendors of the market in sync with industry norms by our skilled experts. Owing to its different quality attributes, this humidifier is widely praised by our valuable clients. 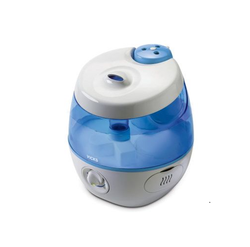 We offer this humidifier to the clients as per their different requirements.